Peace Studies 101: How can I make health care rights a reality in the U.S.? A coalition of 118 peace organizations asked the Progressive Caucus to oppose the $100 billion War Supplemental, a measure that seems to have worked - so far. Leadership of the House of Representatives stopped a vote on war funding scheduled for today because they do not have the votes to pass the $100 billion dollar supplement. Preventing funds to close Guantanamo Bay prison. According to Voters for Peace, "This mix has brought the vote below the majority needed to pass the new exhorbitant supplemental for war funding. The leadership is in process of twisting the arms of anti-war Democrats. With pressure this intense, your representative needs to hear from you. S/he needs to know you oppose more war funding." Voters for Peace, a non-profit organization, provides voters with information and tools needed to be effective advocates that "includes educating your friends and family on the occupation, writing letters to the media or working to hold congressional and presidential candidates accountable" according to the organization's website. 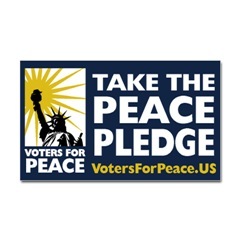 To date, 173,139 Americans have taken a stand for peace by taking the Peace Pledge facilitated by Voters for Peace. 1. Send a letter, an already drafted one that takes seconds to send as is, to your elected official in the House of Representatives by visiting Democracy in Action Campaign. On top of the long list of reasons to oppose U.S. war funding is that the present wars are illegal and immoral. The U.S. has no money to care for its citizens needs at home and is in a deep recession, largely due to its military spending. The U.S. role in Iraq, Afghanistan and Pakistan is doing more harm than good, adds to destabilization of the region and is fueling anti-American sentiment plus there is no clear mission for the war in Afghanistan and no exit strategy. We have yet to see the first troops removed from Iraq. Learn More: Get action alerts called Peace Perspectives, a valuable but free service of Voters for Peace. "I helped murder people in Iraq for nothing"
I helped murder people in Iraq for nothing. These are things I'm not proud of whatsoever, and I want to be able to turn this around and bring the people ultimately responsible for this to justice. Because had I known back then what I know now, I never would have signed up in the first place. Those are the words of 32-year old AWOL (absent without leave) US Army man, Andre Shepherd, according to an interview published in the national German daily newspaper junge Welt on May 23, 2009, 60th anniversary of the German Constitution and reprinted by Bruce Gagnon, longterm peace and justice coordinator of Global Network Against Weapons & Nuclear Power in Space. Shepherd now lives in a western Germany asylum facility awaiting his asylum application outcome. A European Union directive requires it to grant asylum to soldiers who have reason to fear persecution in their home countries for refusing to participate in crimes or actions that violate international law, a directive Shepherd believes is applicable in his case and is testing it. Many war resisters are punished with long jail sentences according to Jeff Paterson, Project Director for Courage to Resist, an organization supporting troops who refuse to fight in Iraq and Afghanistan. It was not long ago that this college graduate from Ohio, Andre Shepherd, now among the ranks of American peace and justice workers, was like most recruits when he joined the U.S. Army in 2003, unemployed. He then trained as a helicopter mechanic; was stationed in Germany at U.S. Army Ansbach-Katterbach base; deployed in 2004 to Iraq for six months; and in 2007, back in Germany, received orders to return to Iraq. 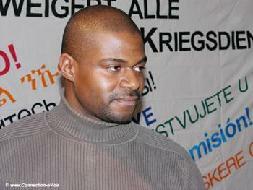 In April 2007, Shepherd went AWOL, but after 19 months of living underground in Germany, on November 26, 2008, he formally applied for asylum there. When Shepherd’s story was posted on Facebook, one friend quickly commented beneath the article, “He's a hero! He should get medals for this!” and others soon gave it the thumbs up. As more Americans understand that the militarism rebuilding over the past 28 years has been accompanied by policies that shifted from human needs to warfare, the peace movement is growing, even among the troops. A 2006 Zogby poll found that 72% of all U.S. troops in Iraq thought the U.S. should immediately withdraw, many of those same troops now asked to fight in Afghanistan knowing that in so doing, they would squarely place Americans at home at greater risk of harm. Army AWOL rates are at their highest since 1980 and the desertion rate jumped 80 percent since beginning of the Iraq War. An estimated 250 American war resisters have found refuge in Canada. Shepherd’s case will determine if war resisters can legally have refuge in European. Courage To Resist staff and volunteers advocate for many war resisters including U.S. Army Victor Agosto. Agosto, according to the Associated Press, wrote on the bottom of a military counseling statement submitted May 1st, 2009 to the commander of a Ft. Hood, Texas Army unit headed for Afghanistan, There is no way I will deploy to Afghanistan. The occupation is immoral and unjust. It does not make the American people any safer. It has the opposite effect. Learn more: Learn what you can do to support courageous troops resisting war to keep Americans safer by visiting Courage to Resist and what you can do to help students learn more about war before they are recruited by visiting and supporting CAMS, The Coalition for Alternatives to Militarization in Our Schools coordinated by Arlene Inouye. Also visit Bruce Gagnon's Global Network Against Weapons and Nuclear Power in Space. 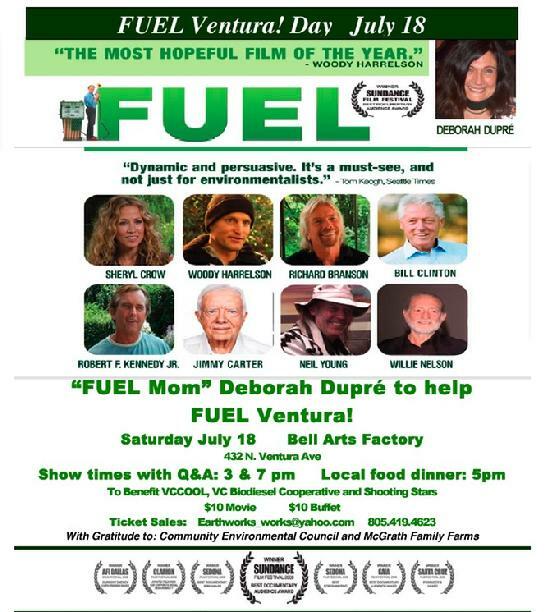 To receive Deborah Dupre's Peace Study Reports, please visit her home page at the Examiner and subscribe here.